Obituary for Eduarda Conceicao (Botelho) Amaral | George C. Lima Funeral Home, Inc.
Eduarda Conceicao (Botelho) Amaral, 82, of Bristol passed away peacefully at home surrounded by family on November 16, 2018. She was preceded in death by her beloved husband Fernando P. Amaral. Mrs. Amaral was born December 8, 1935 in Ponta Delgada, Sao Miguel, Acores, to Joao and Rosalina de Jesus (Ferraz) Botelho. She was educated at the Escola Industrial e Comercial de Ponta Delgada. She married Fernando P. Amaral, the love of her life, in 1962 and moved to the United States in 1969 where the family settled in Bristol. She worked as child caregiver for many years before retiring in 1993 to care for her husband. She was happiest when surrounded by her family sharing home-cooked meals with love and laughter. 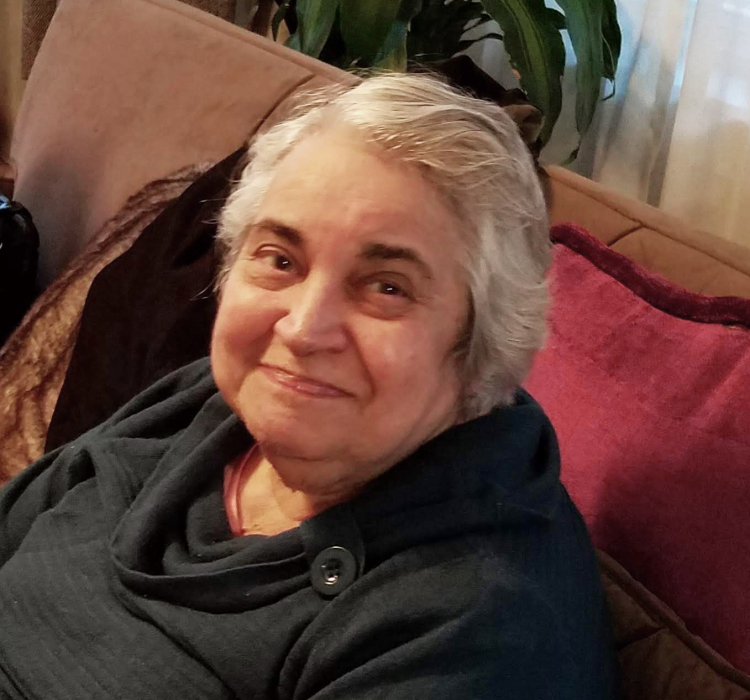 She will be remembered as a loyal and loving wife, mother, and grandmother and for her fabulous cooking and baking, her love for the visual arts as well as her many beautiful crochet and hand embroidery projects. She was the proud mother of five children and nine grandchildren. She is survived by son Richard F. Amaral and his wife Lisa, daughter Mary Grace Ferreira and husband Fernando, daughter Ann R. Amaral, son Edward F. Amaral and wife Natasha, daughter Suzann M. Volpe and husband Ray; grandchildren Timothy Ferreira, Stephanie Ferreira, Christian Ferreira, Katherine Ferreira, Ben Amaral, Christopher Amaral, Nicole Amaral, Elizabeth Amaral, and Amanda Amaral. She is also survived by her sister Isaura M. Correia and her husband Joao. Calling hours are Wednesday, November 21st, 8:30 – 10:30 AM at the George Lima Funeral Home 367 High Street followed by a Mass of Christian Burial, 11 AM at St. Elizabeth’s Church 577 Wood Street. Burial will follow in St. Mary’s Cemetery. In lieu of flowers, memorial contributions may be made to: Saint Elizabeth’s Church, 577 Wood Street, Bristol, RI 02809.